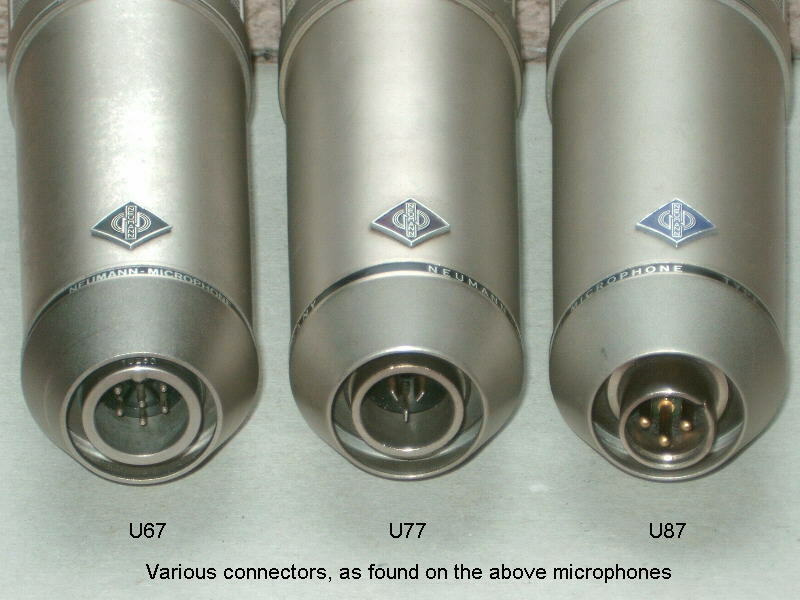 The U47 microphone is found with various different badges on it's housing, other then that of the manufacturer, Neumann. Sometimes found with Telefunken or Seimens badges. 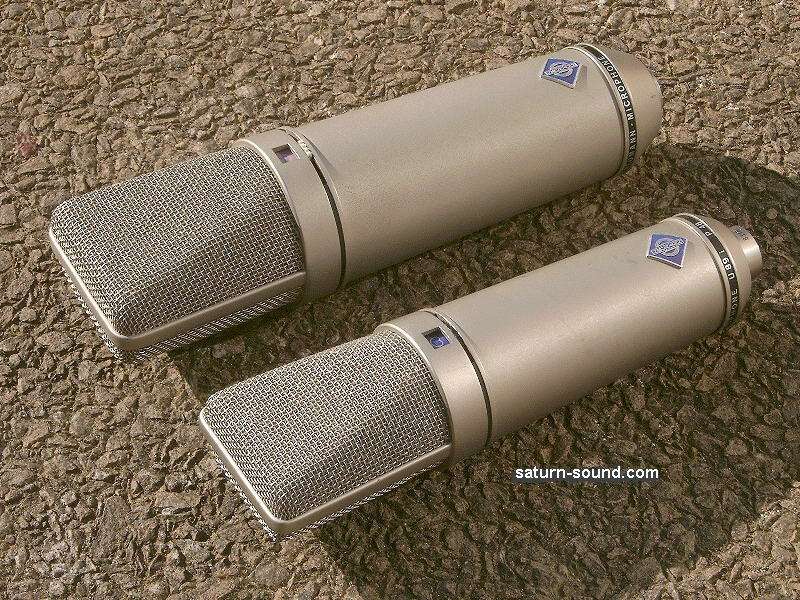 In the early days, Neumann was a small company with little marketing outlets. 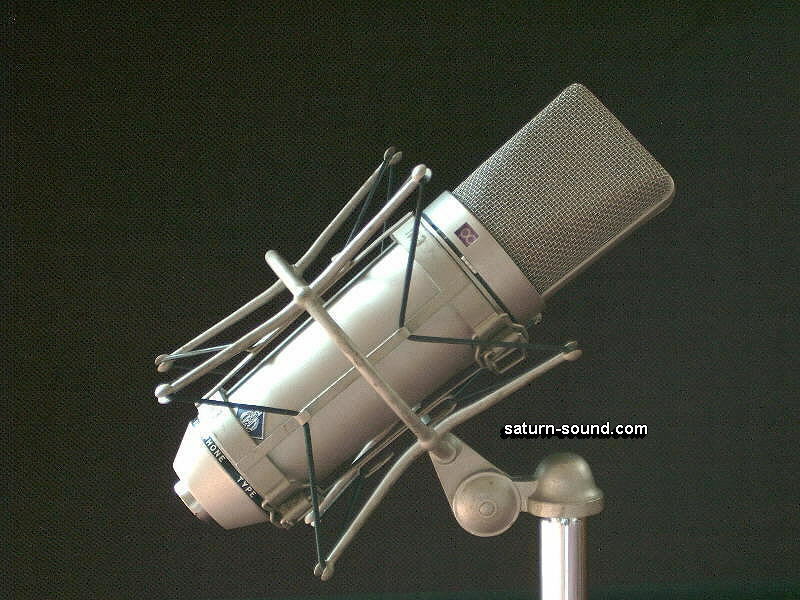 Therefore, like other small companies, Neumann distributed the microphone through other big named companies. These companies then placed their own badges on that product. The letter U, designated the use of a "Plug-in" type of valve.. Neumann also used other letters, M being used for microphones with wire ended valves e.g. MSC2 or AC701k types. Being soldered into place, as seen in the M49 and KM54 for example. With the letter K, standing for "Miniature". 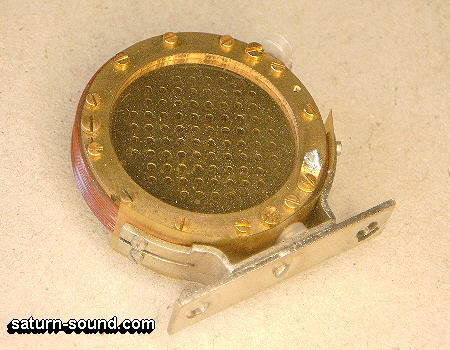 In the case of the U47 microphone, it would be the famous Telefunken VF14m "Pentode" valve, which was originally designed for use in portable radio receivers. 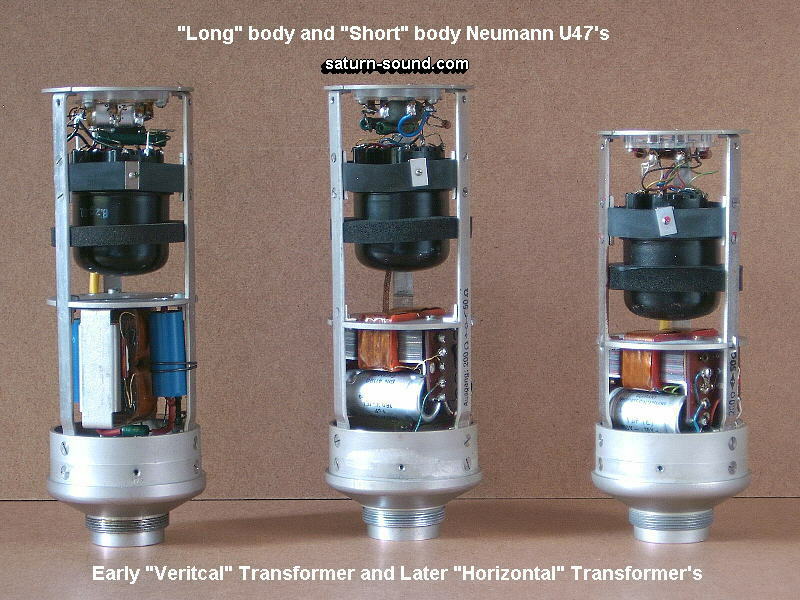 Early versions, of the U47, had the output matching transformer mounted "up-right", rather then "laying flat" as on all the later versions. Sometime after the change in transformer mounting, the housing tubes were shortened. Hence the long and short models we now find. The U47 had just 2 polar patterns i.e. Cardioid and Omni. 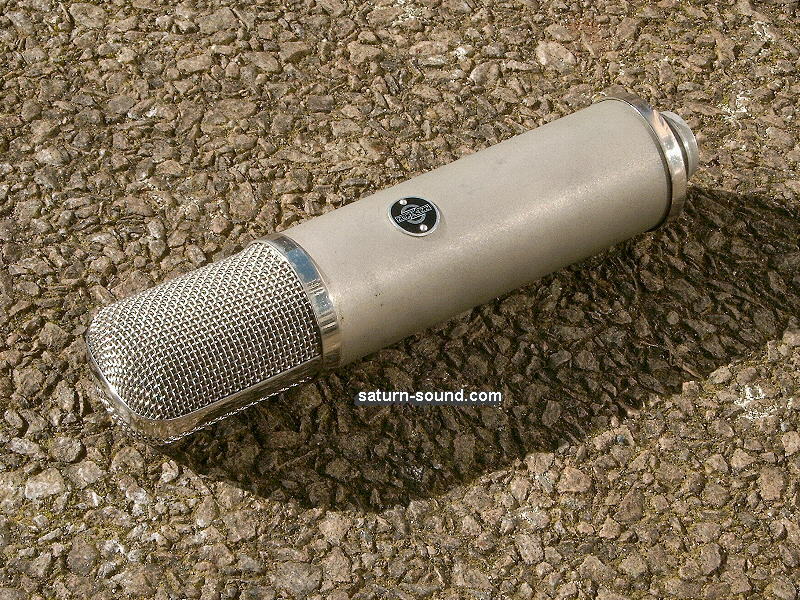 The U48 microphone, was basically the same as the U47, with Cardioid and Fig'8 polar patterns. 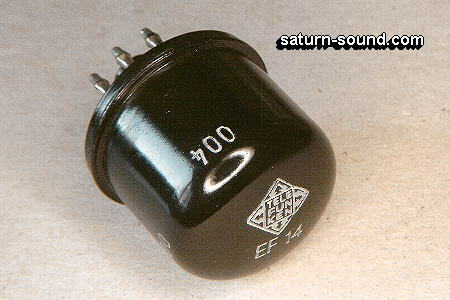 Towards the later years of production, the VF14 valve became increasing hard to find. 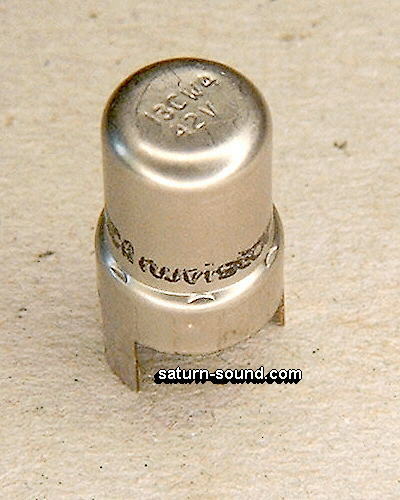 Neumann decided to use a "Nuvistor" type of valve, i.e.13CW4, a "Triode", in it's place. A modification to the PSU was required, as the 13CW4 required a greater filament current. Together with an adaptor socket for the 13CW4, with additional components, to fit into the original valve socket. Unfortunately, the 13CW4 "Nuvistor" version would never find the popularity of it's VF14 based predecessor. The sound between the VF14 and 13CW4 versions, is quite different. Both types having their own followers. A "Retro" modification is available, that converts a 13CW4 working microphone / PSU combination, back to the "Original" VF14 (RV-14m) working. For further information please see "Modification". I have serviced many U47's over the past 25 years or so. In that time, I have tried to find a suitable replacement for the VF14 valve, with no joy. Some U47's have come through for servicing, fitted with a whole variety of different valves. You can "Get by" using an EF14 or UF14, with suitable PSU modifications, but the VF14 will always sound the best of the bunch. Even "Good" examples of the EF14 and UF14 are becoming difficult to find. 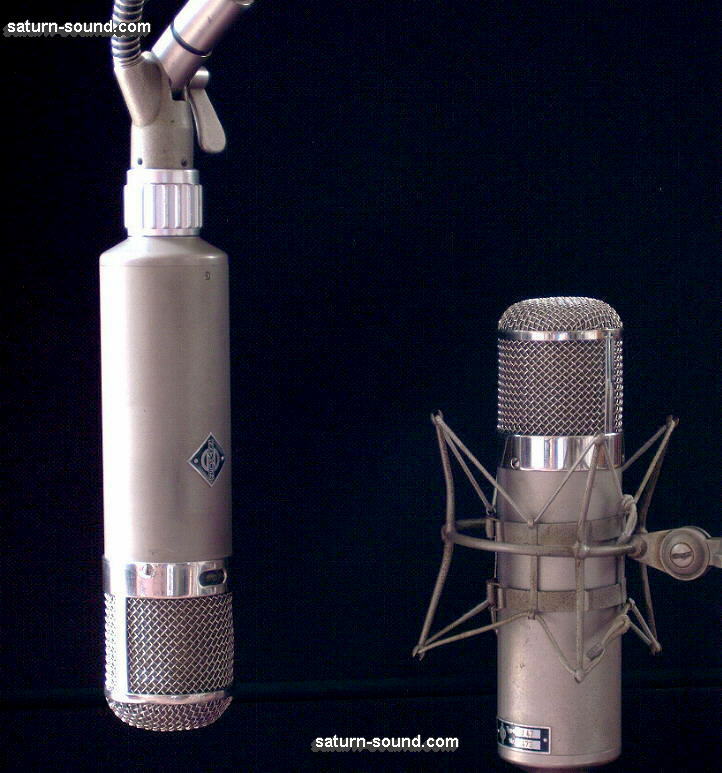 If you own a U47/48, then surly you expect to obtain the "Original" sound qualities from it. Therefore, with the VF14 being "Obsolete", I decided to produce a "Replacement", namely the RV-14m. Thankfully, the sound of the U47 should be here for many years to come. Read "Customer Feedback", for comments on the sound quality of the RV-14m valve. For more information on the RV-14m, please refer to the "Replacement Valve" page. A phantom powered version of the U47 was introduced in the early the 1970's. Known as the U47fet. 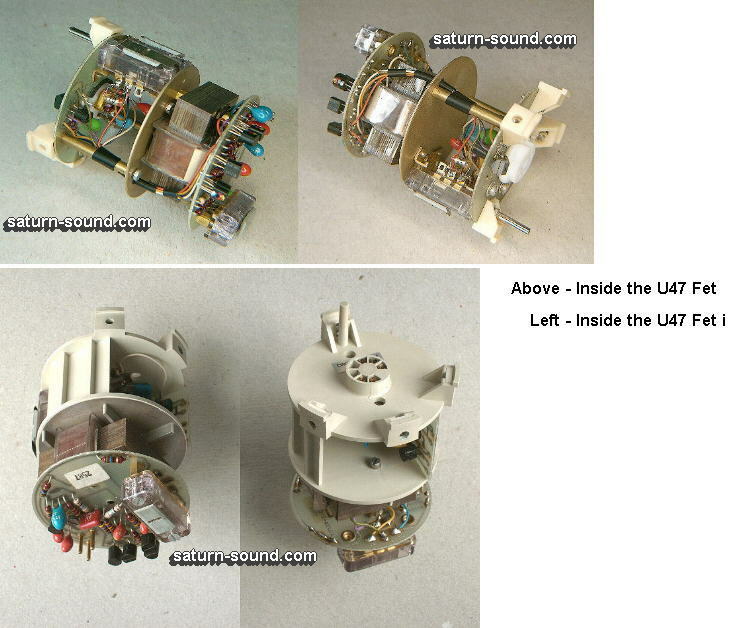 There were two models, one being the U47fet, with "Tuchel" (Din) type connector, and the other being the U47fet i, with "Switchcraft" (Cannon) type connector. The circuit/electronics were quite complicated, using some 7 transistors, one being an FET. 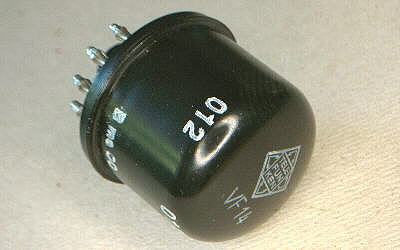 Sounding quite different to it's older valve counterpart, the U47fet found many applications, especially in broadcast circles. The U47fet is now becoming almost as collectable/sought after, as it's valve predecessor. 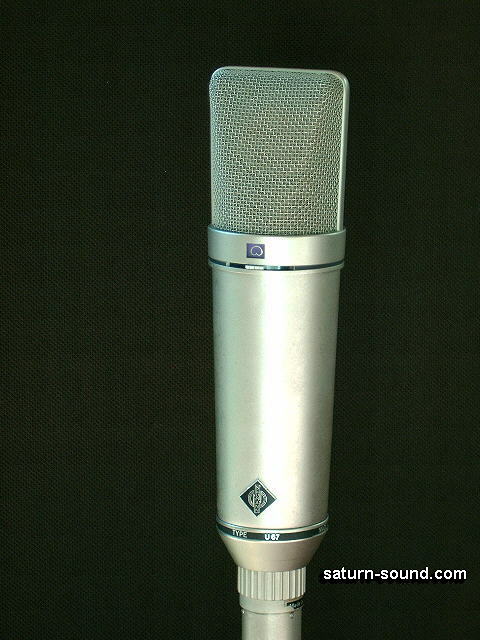 A modern day, valve version, of the U47 was to emerge in the late 1990's. To be known as the M147. Alas, the electronics are of a hybrid design and therefore the M147 sounds very different to the U47 we all know so well. 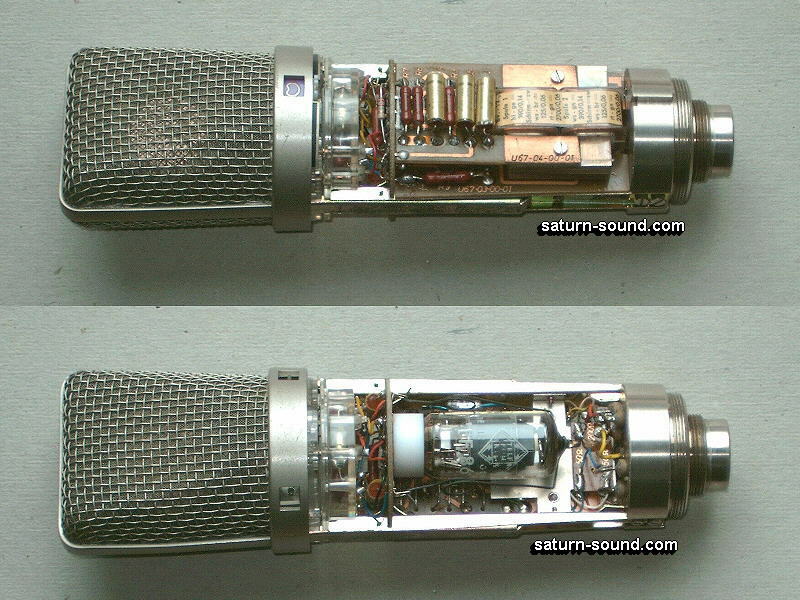 Using the same miniature "selected" VHF double triode, type 6111WA, as found in the Neumann M149. 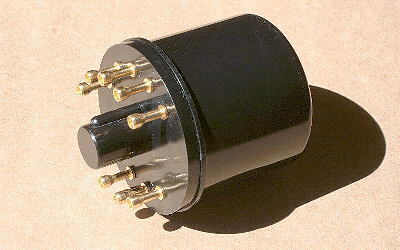 The use of an output matching transformer has been dropped, in favor of a modern electronically balanced output stage. 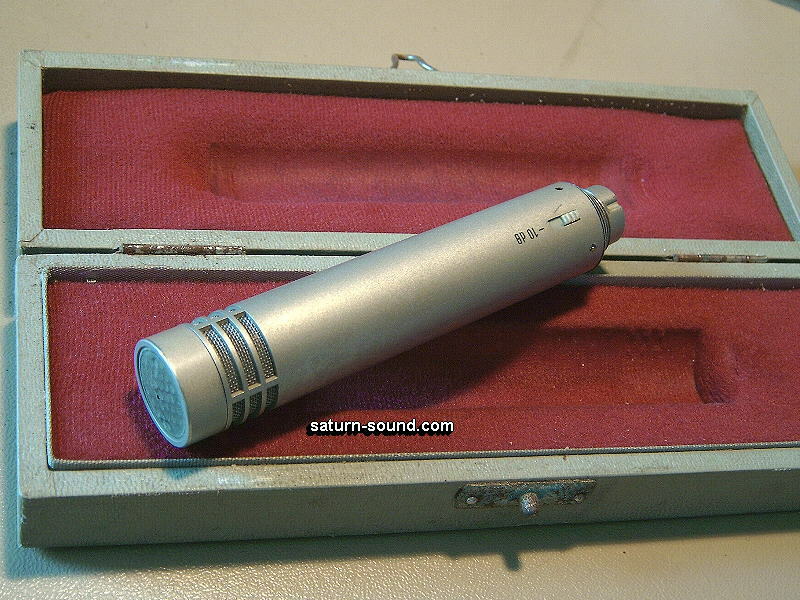 Neumann never manufactured a U57 microphone. Maybe due to the fact that Neumann Gefell, the other half of Neumann and yet another story, produced the UM57. 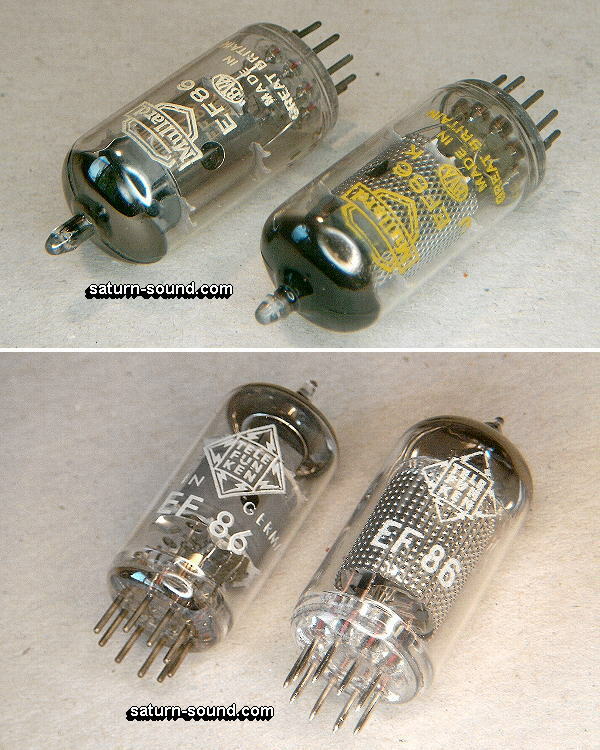 The choice of valve, would be the 6AB4/EC92 miniature "Triode". The UM57, used the same M7 capsule as the U47, and provided the user with 3 remotely controlled polar patterns i.e. Omni, cardioid and fig'8. Therefore, the sound is closely related to that of the U47, other then the tonal qualities generated by the different valve and, slightly smaller, matching transformer. A modification is available, that allows the UM57 to operate as a U47, together with the benefits of remote polar pattern control. For further information please see "Modification". 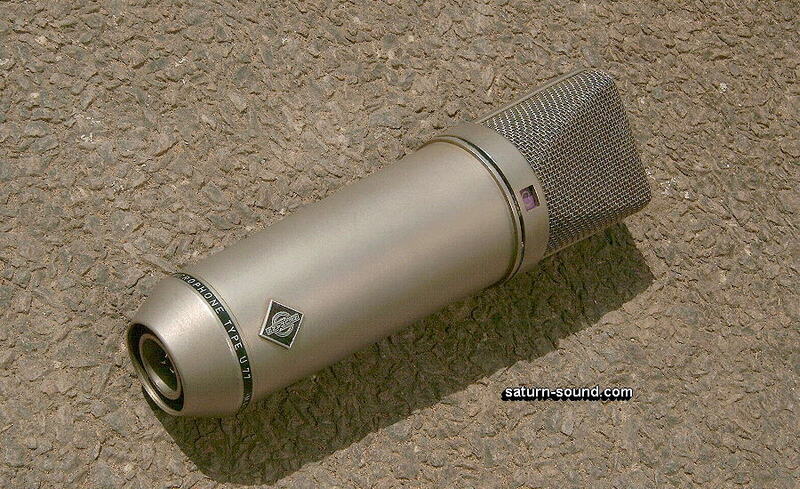 Another microphone that should not be forgotten, is the small U64 "Pencil" microphone. The circuit/electronics being based around the 7586 "Nuvistor" type valve. The U64 maybe not the most memorable microphone that Neumann manufactured, however, it's acoustic qualities are useful for many applications. In 1960, we saw the introduction of the U67. 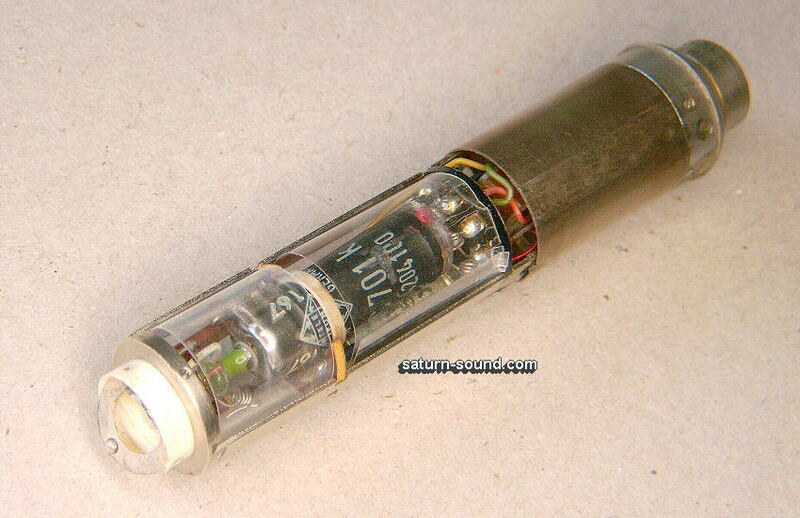 Just like the U47, the circuit/electronics of the U67 utilized a "Pentode" type valve. This time, however, using a modern "Miniature" plug-in EF86. 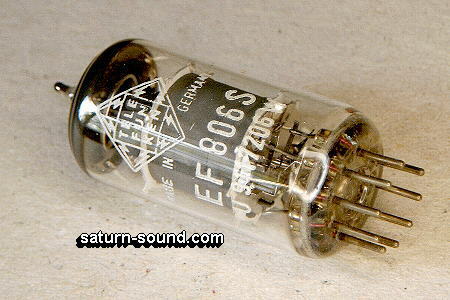 Through the production years of the U67, the EF86 was to be superceded by the EF806S, a low-noise and low microphonic version of the EF86.. Together with a new capsule design, namely the KK67, the U67 would have a sound all of it's own. The new components that formed the U67, were all mounted in a new look housing assembly, this would be used for many years and models to follow. 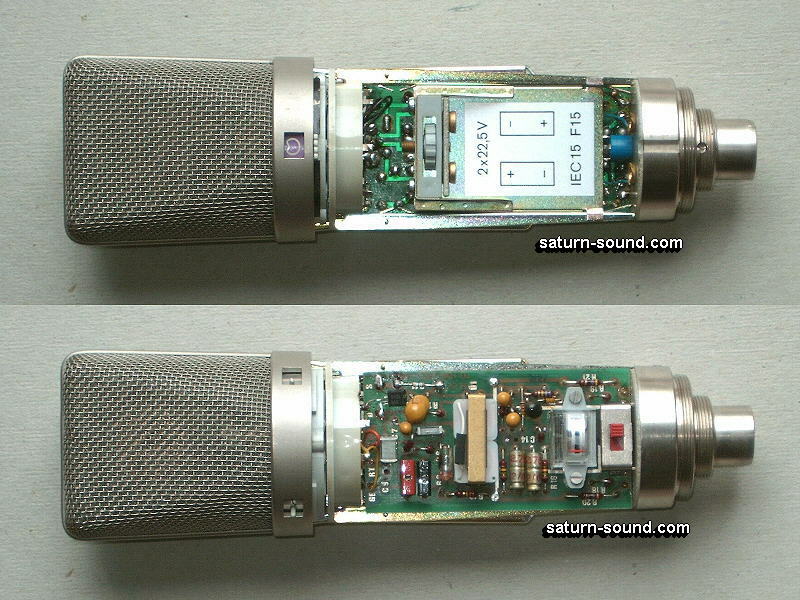 We would also see the use of various connectors used for the range of microphones using this new housing..
A limited number, of the U67, were re-issued in the mid' 1990's. Using the same circuit/electronics , with modern day components. It was good to see an genuine re-issue, and not a modern day "Modified/Re-designed" version of an old classic, such as the AKG C12VR. 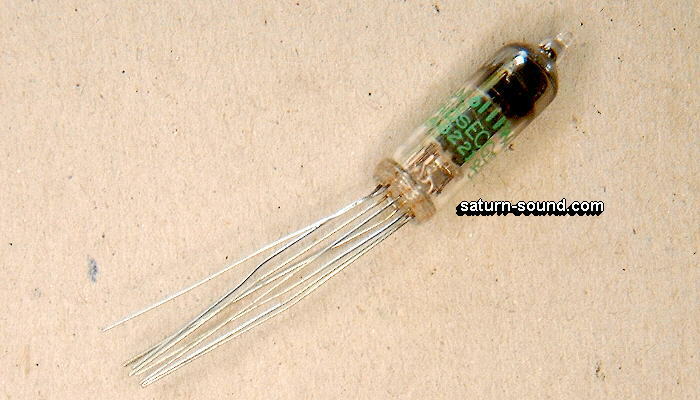 The semiconductor era was upon us, but alas there was nothing available to replace the high input resistance of a valve, for some years to come. However, when the FET (Field effect transistor) finally arrived, Neumann were quick to utilize it's electrical properties. 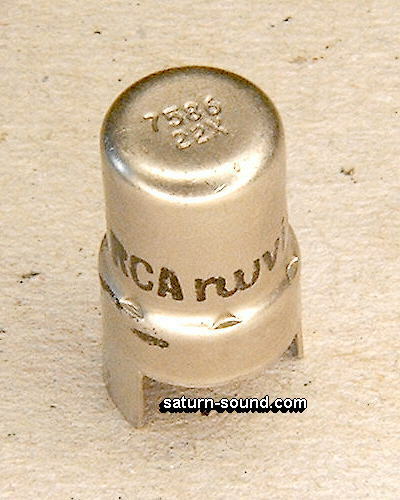 The U77 was to be Neumann's first, large capsule, transistor based microphone and would still use the "Proven" KK67 capsule from the U67 era. The circuit/electronics, utilised the ever popular 2N3819 or 2N4302, for impedance conversion. Designed to work on external power and/or built in battery (9 volt type). 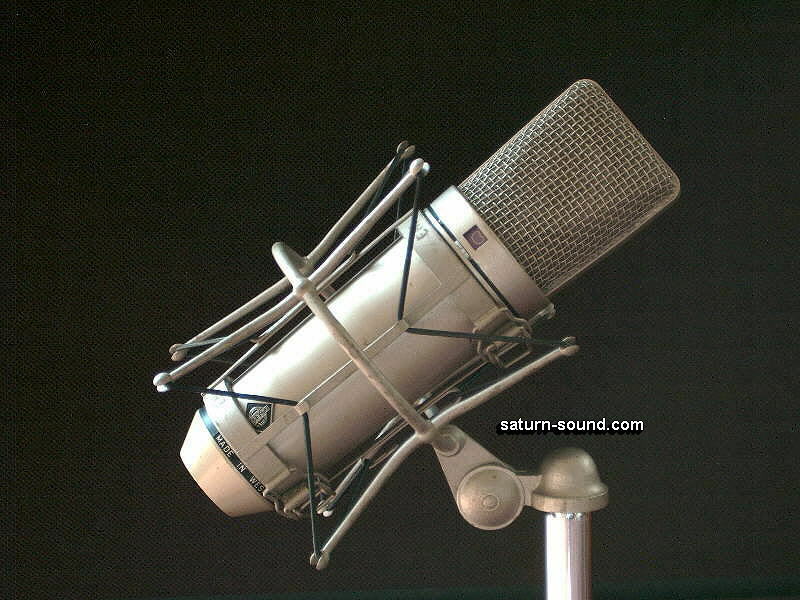 Enabling the microphone to be used with portable equipment or with desks/mixers that did not have a suitable power source. During this time, the mid' 1960's, microphone powering was that of the "Modulation Lead" type. More commonly known as AB or "T" powered format. Whereby, the 12v dc supply required by the microphone, is supplied through the Send/Hot (+12v) and Return/Cold (0v) wires of the balanced audio cable. The screen being purely, a screen and not the zero volt return path, as it is on the "Phantom" power principle of to-day. 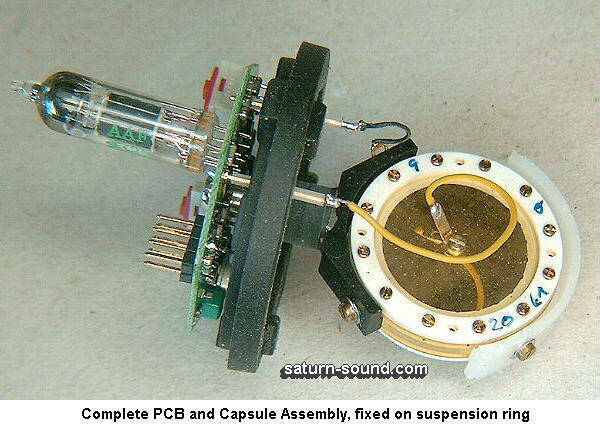 Running at such low voltage, the microphone used a DC to DC converter, to generate the polarizing voltages (+/- 60 volts) require by the capsule. 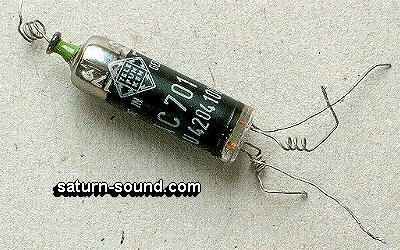 Previously, in the U67 for example, the polarizing voltage was derived from the microphone's HT supply. Through the principle of design and operation, when using "Modulation Lead" powering, there is no need for an output transformer. The audio signal is simply "Filtered off" at the power supply end of the cable. In the case of the Neumann design, this was carried out via capacitors, some manufactures used a capacitor coupled transformer arrangement. The sound quality of the U77, is somewhat "Dry" and "Clinical", when compared to that of the U87. 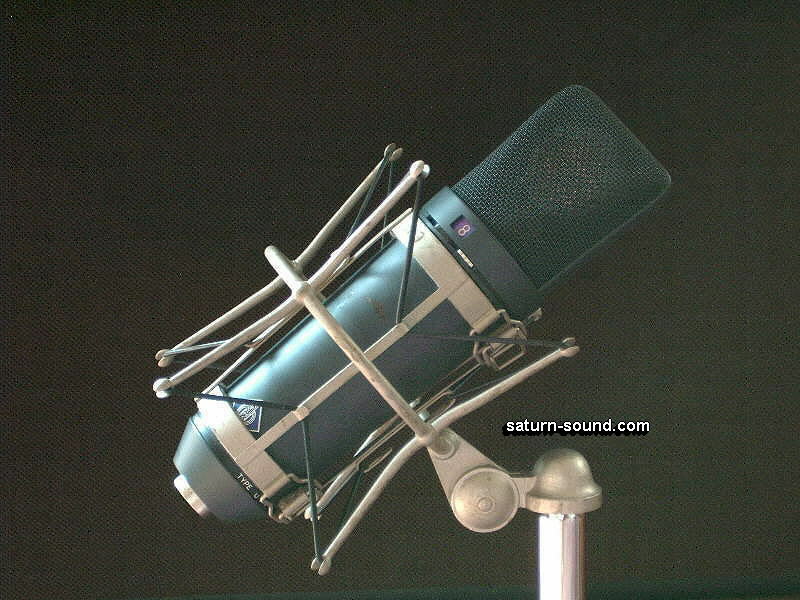 A typical character to that obtained from other microphones powered in this fashion. A sound, not so far away from that found in modern day transformer-less designs. 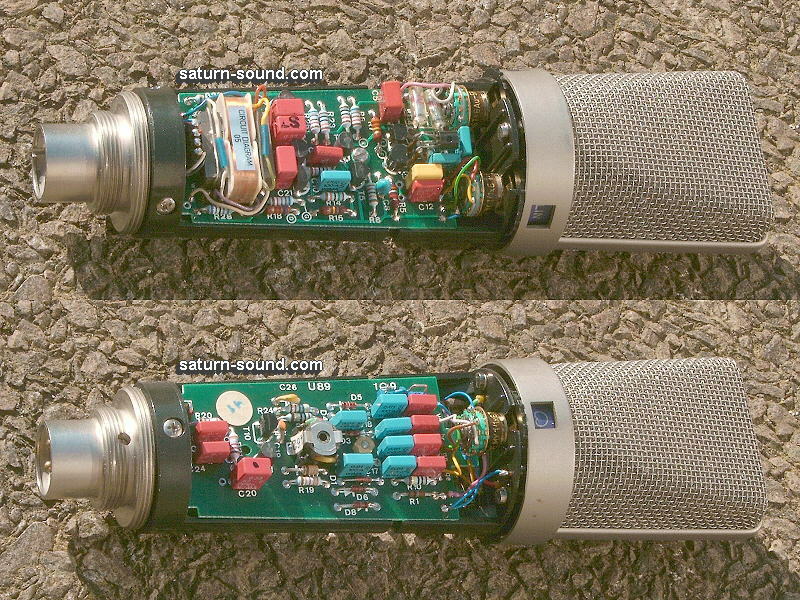 During the late 1960's we saw the introduction of the "Famous" U87, designed to work on +48v phantom power and/or built in batteries (2 x 22.5 volt types). Like the U77, this enabled the microphone to be used with portable equipment or with desks/mixers that did not have phantom power. 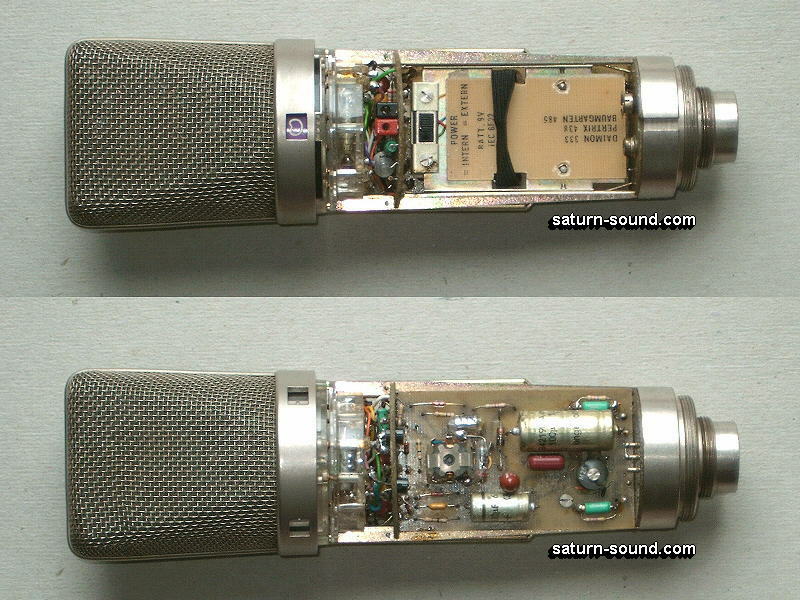 The U87 would use a new, "Double" back-plate, type of capsule i.e. KK87. Giving improved polar patterns/frequency response. The circuit/electronics were based around a single transistor (FET), 2N3819 or 2N4302. 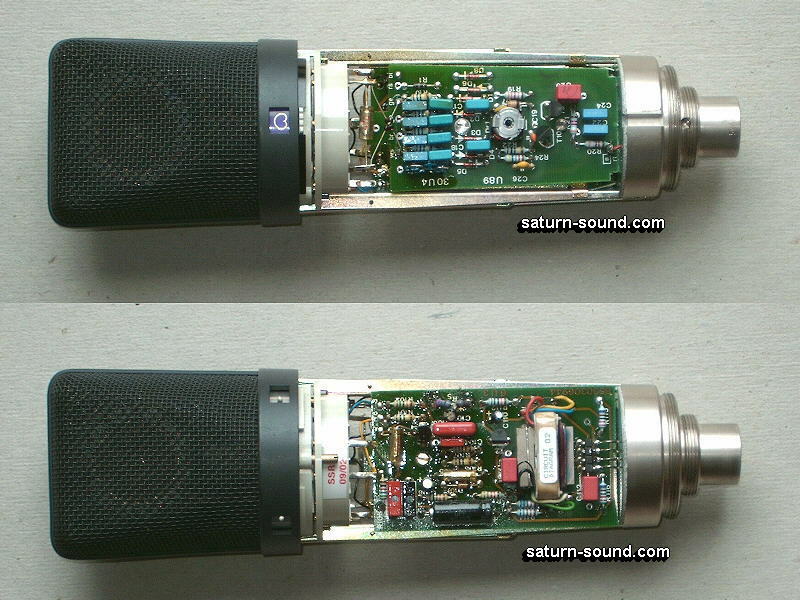 The U87 design was straight forward and simple, with a transformer coupled output. Over the years, various changes to the electronics took place. Most of which, to improve the stability of the internal working voltages. Capsule polarizing voltages were derided from the +48v phantom supply. Currently, we see the U87a, an improved version of the original U87. However, like so many discontinued items, many engineers still prefer the sound of the original U87 (especially the early ones). One reason for this, could be that the U87a uses the KK67 capsule, re U67/U77, thus giving the U87a a somewhat different sound to the original U87. The circuit/electronics are very similar to that of the original U87, other then addition of a DC to DC converter used to generate the higher capsule polarizing voltages (+/- 60 volts). Thus giving the microphone a lower noise figure then it's predecessor. Will we ever see a U97, and what would the improvements be, or is the U87a the "end of the line" of such an historical series ? It would be incorrect for me not to include the U89 microphone in this list. Looking much like a smaller version of the U87. 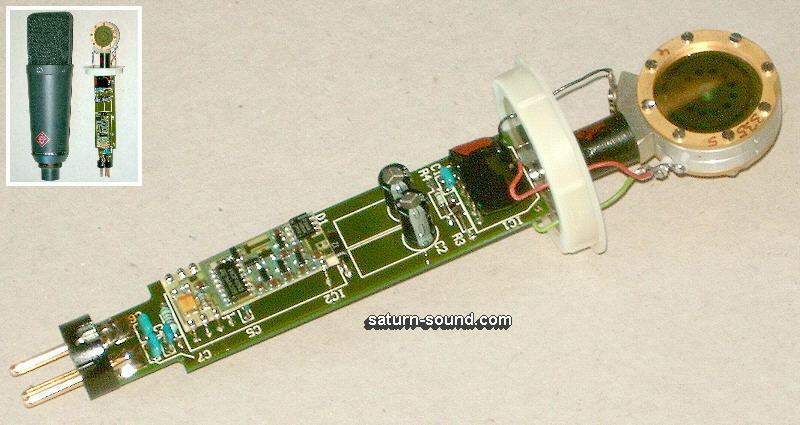 The circuit/electronics are very similar to that used in the U87a microphone. 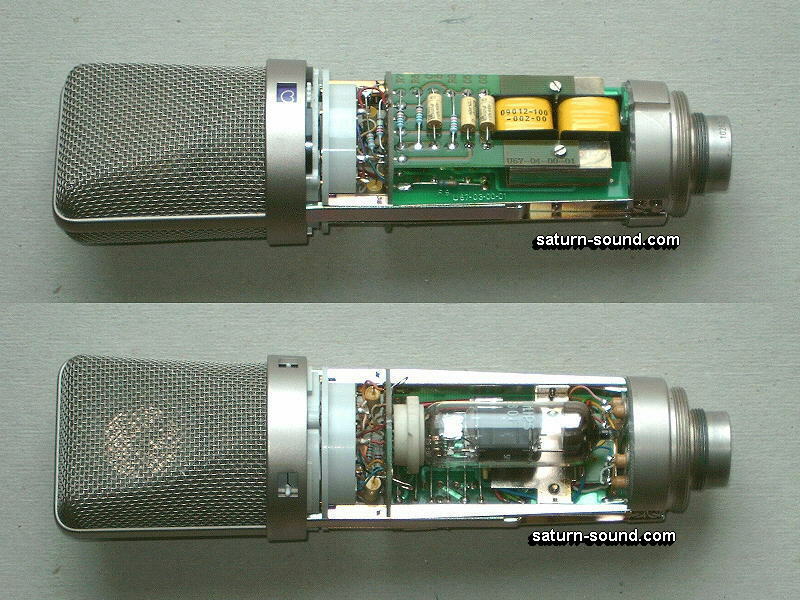 However, the U89 microphone uses the KK89 capsule, which is slightly "Smaller" than that used in the U47/67/77/87 series. 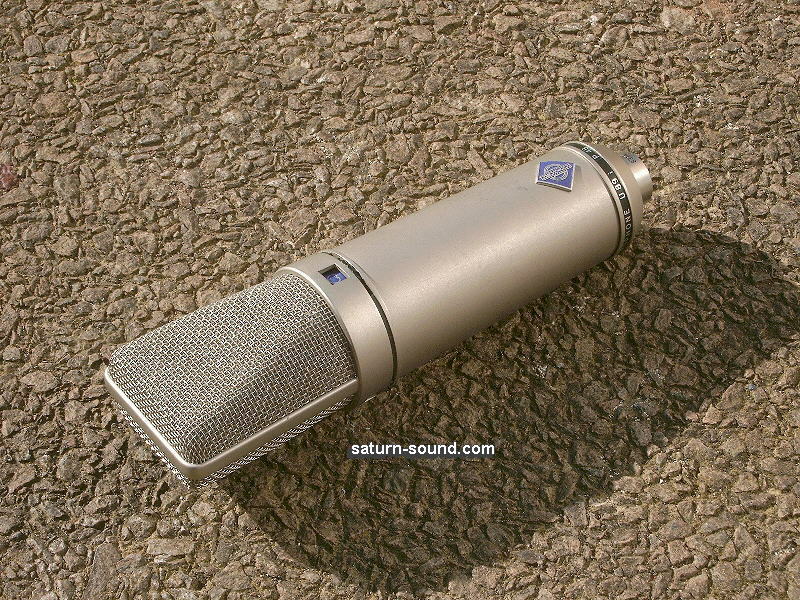 The KK89 capsule deviates from Neumann's normal approach to larger capsule design i.e. the sputtered gold, used to form a electrically conductive surface, covers the entire area of the diaphragm. 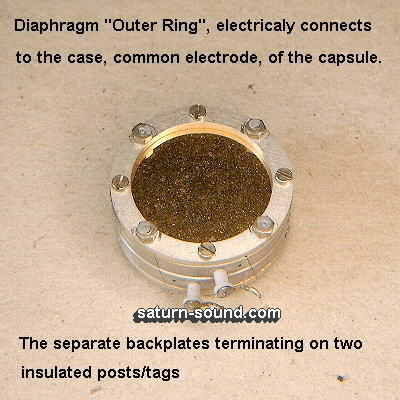 Electrical contact with the diaphragm, is made via the "Outside Ring" of the diaphragm mounting, much like that on the AKG CK12 capsule. 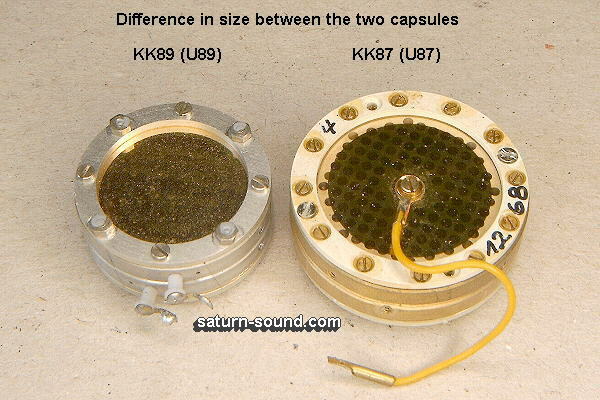 Whereas on other large capsules, such as the KK87 used in the U87, the sputtered gold used to form a electrically conductive disc, is somewhat smaller than the overall diameter of the diaphragm. Therefore leaving an insulated boarder around the "Working" edge of the diaphragm. The capsule then requiring a "Centre Screw" to make electrical contact with the diaphragm. 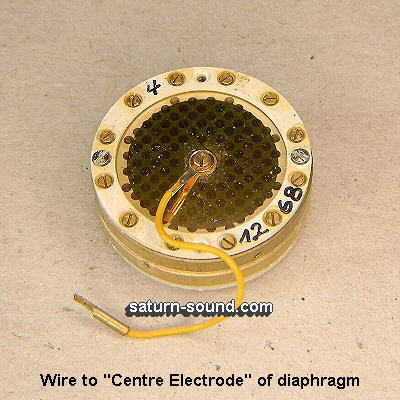 Other than the difference in size between the two types of capsule, then the design, with respect to the electrical connection, obviously effects the way in which the diaphragm moves. Thus contributing to the "Difference" in sound quality between the KK89 capsule, and that of the "Centre Screw" type capsules. 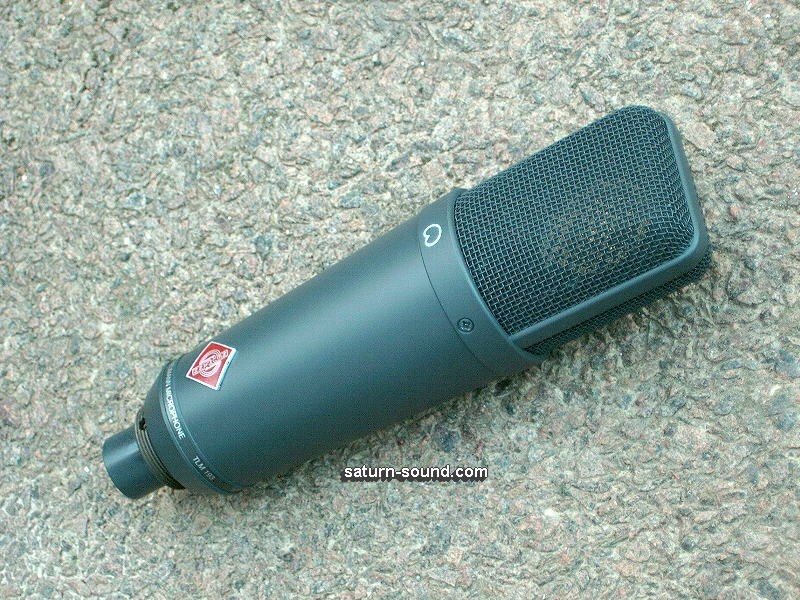 I could include the modern TLM range of "Large" capsule microphones e.g. TLM193, but for me ..... I am not so sure that the modern models, will ever have the same type of following as that received by the majority of the microphones above. Electronically balanced output stages, such as that used in the TLM193, "Do the job". But ..... what ever has happened to the musical "Signature" given by the output matching transformer ...... ? Modern technology has it's uses, for sure ..... but some changes are not always such a good move. Sadly, it is probably all down to how cheap a product can be produced, rather than how good it "Could" actually sound.